Nowadays, every singer in the world is putting out a Christmas album. There are entire racks in music stores of easy-listening Christmas albums, country Christmas albums, rap Christmas albums, novelty Christmas albums, Jewish Christmas albums... it goes on and on. Not to question the motives of all the artists who are slipping holiday albums onto the racks, but it is nice to remember that once upon a time singers did songs of the season because they liked the songs, not as a marketing strategy. Frank Sinatra was arguably the best interpretive singer of the 20th century. With a career that spanned five decades, it is inevitable that he would have put his distinctive stamp on some of the greatest yuletide standards in history. 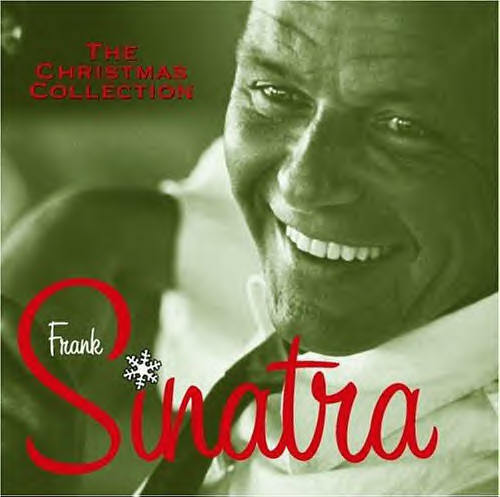 Between his albums and his radio and TV shows, Sinatra took on the current carols of the day quite often, and eighteen of the best are collected here. Occasionally the arrangements can sound a teensy bit dated, but Sinatra's vocals are always spot on. His version of "Have Yourself A Merry Little Christmas" is simply definitive, a duet with Bing Crosby on "We Wish You The Merriest" is jaunty and "I've Got My Love To Keep Me Warm" swings like a house afire. The Chairman of the Board gets a little overshadowed on a duet with Bing Crosby on that singer's signature song, Irving Berlin's "White Christmas." Sinatra generously recognized that the song belonged to his costar, so he just adds some lovely harmony fills to spice up der Bingle's song. Probably the highlight here is a sparse, previously unavailable version of "Silent Night," which adds a sense of quiet melancholy to the well-covered classic. Sometimes it can get a bit cutesy; a revised version of "The Twelve Days of Christmas" Ol' Blue Eyes did with daughters Nancy and Tina and son Frank, Jr. is funny, but just a bit too much of an in-joke. That's okay, too, the holiday is about family and having fun. And this CD is fun. More importantly, it swings. Copyright � 2004 PopEntertainment.com. All rights reserved. Posted: December 19, 2004.